Hello, I'm Aki! I grew up and live in Nara. Many foreign tourists in Nara usually only visit the major tourist attractions such as Nara Park and Todaiji Temple, but believe me, Nara as the birth place of Japan has a lot more to offer. If you have a strong interest in Japan’s history, traditions, and culture, and if you are rather disappointed by the modernization of Japan, then Yamato is waiting for you to be discovered! 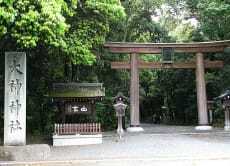 In the Yamato region, a little south of Nara City, there are still many ancient shrines and temples that date back to the age of mythology. Here you can feel the Kami (Shinto gods) in the air. Before Buddhism was introduced to Japan, people used to respect unseen sacred spirits everywhere, including in mountains, trees, rocks, water, animals, humans, and the Sun. The 2 Chinese characters of Yamato (“大和” ) represent “Great (大) Harmony (和)" and this is the key to Japanese spirituality. Why don’t you join a private tour to many of my favorite places, sacred sites, and power spots of Yamato where few foreign tourists go, and hear unique stories about history, culture, spirituality, and more! If you're looking for something spiritual (for example, Shinto, “yamato," history, new age, self-searching), or if you have a special close connection with Japan, then I will be the perfect guide for you. Please feel free to contact me! Visit deep spiritual sites in Nara with a local guide! Akiko-san is a very great host and she has very good knowledge of Nara and also the history of Japan. I also had the opportunity to put on a kimono at a kimono rental shop. Later, we toured a couple of shrines and temples in Nara, a traditional garden and also get to feed deers in Nara Park. This experience is a very good and relaxing one. Away from the crowd, you will get a very close look at Japanese history and culture through the visit. The local guide is also very nice and understanding! This was a fun experience to both wear a kimono and learn about Nara. The kimono shop had a great selection, and even do your hair quite nicely as part of the experience. Aki, our host, was very knowledgeable, friendly and easy to talk to for the whole tour. I did not realize this would be a private tour, but it made it easy to customize based on what we wanted to do. This tour is perfect for anyone that has an interest in Japanese traditions and culture, as Akiko is very knowledgeable about both. She provides a unique and interesting perspective, having grown up in the Nara prefecture, but also studying abroad. It was great to have a local take us to some off-the-beaten-path temples, and explain some lesser-known facts about Japanese culture. She definitely went above and beyond to make us feel comfortable, and was able to answer all of our various questions! Akiko is very personable, and always has a new fact to tell you. We thoroughly enjoyed our time with her!